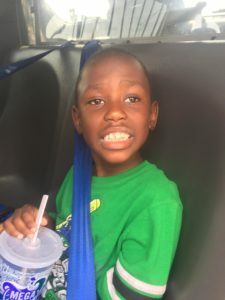 The parents of a missing child found walking barefoot along a local freeway have been located and the child has been identified. The Omaha Police Department sought assistance from the public in locating the guardians of a juvenile found alone earlier today. Witnesses reported the juvenile boy running barefoot on the JFK Freeway near Q Street with no accompanying adult or caretaker. The juvenile is nonverbal and was not able to provide his name, names of family members, or an address. Investigators believe he is five to six years old. He was wearing a green jersey with white and black stripes on the sleeves and black striped Adidas sweatpants. Police say the investigation is ongoing and any information on possible charges for the parents will be released as the investigation progresses.